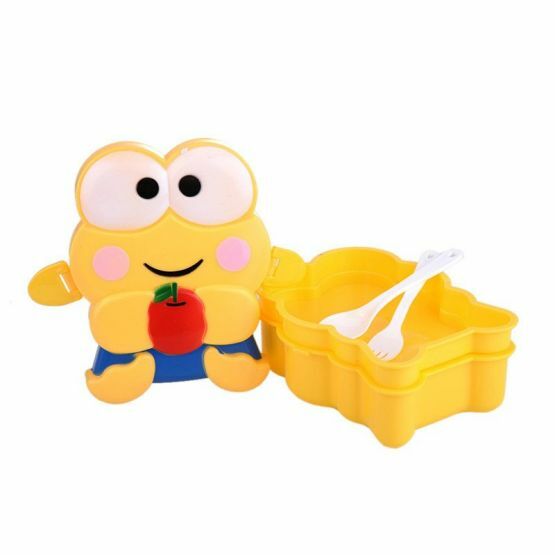 Kids love animals and when you pack their lunches in lovely food storage boxes that are shaped like animals they feel happy the moment see their lunch boxes. And this happiness makes them to complete all their lunch without wasting anything. 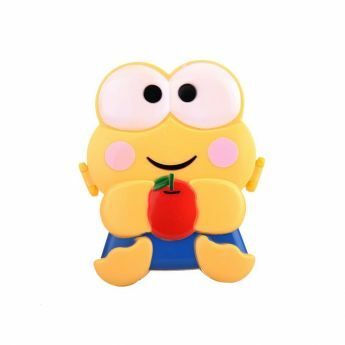 And the classic yellow frog food container comes with a lunch box that comes in the shape of a lovely yellow frog with big eyes and also holding an apple. The lunch box comes with 2 layers and hence you can store different kinds of foods in the two storage boxes like rice or fruits in one layer and vegetables or other snacks on the top layer. The product is microwaveable and hence you can easily use it to microwave your food without taking the effort to transfer the food into other containers that are microwave compatible. But since the food keeper doesn’t come with any microwave holes, it is important that you need to open the lid while heating inside the oven as it allows the food enough air. 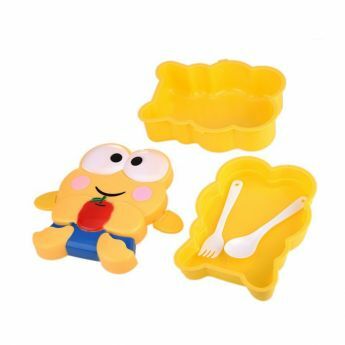 The stylish animal designed food storage box can also refrigerated as well. The yellow frog food container is made using high-quality food grade plastics and hence can last for a long time. The snap-in latches close the box tightly and hence you can be ensured that no food is spilled or leaked outside. 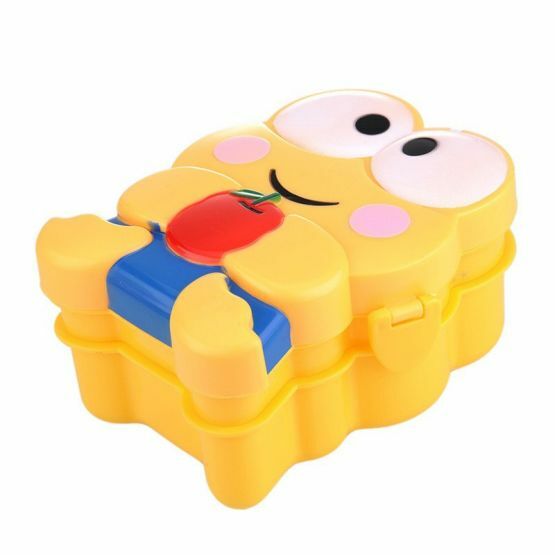 The food storage container comes with a maximum capacity of 800-1000 ml and since it weighs only around 135 grams, it is lightweight and easy to carry along anywhere you want. 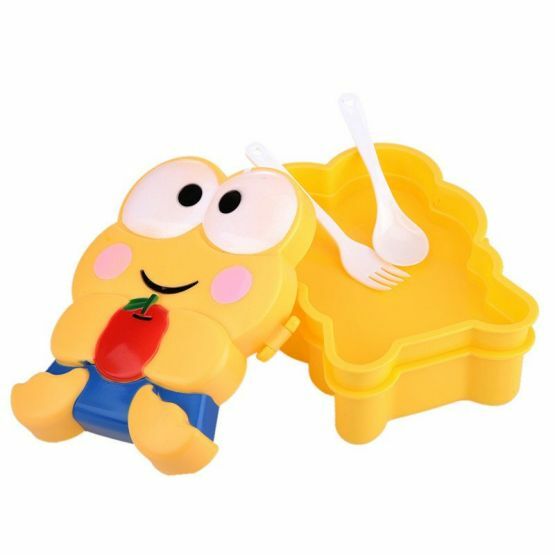 The lunch storage box also comes included with a fork and a spoon.